Brand isn’t just about the visual aspect. 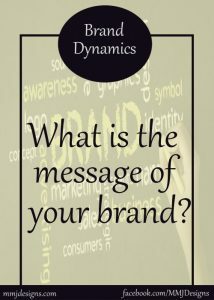 One of the most important elements of brand is you. Don’t depend on the visual for your brand. Yes, it will bring people in but what will make them stay, explore and want to know more then potentially buy is you. Make your brand you. The strongest tool in your brand toolkit is you. More to come in future longer blog post about brand. This entry was posted in Design Tools & Tips. Bookmark the permalink.